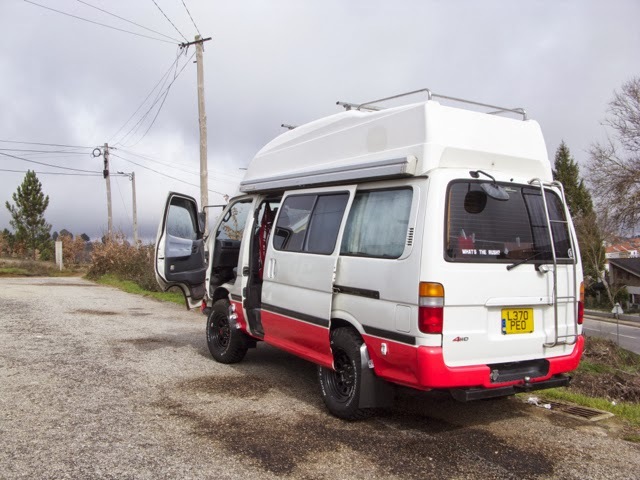 Hiace Hobo - Living in a Toyota Camper Van: Journey along the west coast of Portugal - Part I | I have the van again! 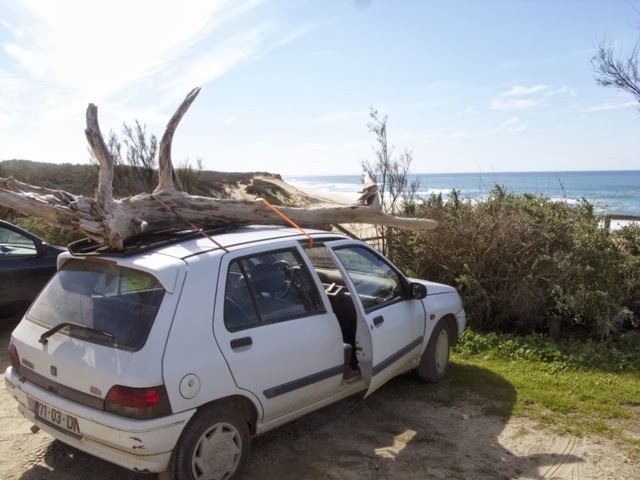 Journey along the west coast of Portugal - Part I | I have the van again! "Here's the keys to your Ferrari," said the Portuguese woman at the hire car place, as she brushed shoulders affectionately with me. And so it was, I would drive up to collect the Hiace in a little red VW Up 1.0. The next morning I set off by 10am to make the six hour journey to the garage where my house on wheels was being repaired. Its a long way, but the weather was warm and the day peaceful; I watched the scenery pass by through the window as I cruised along the way you do when the journeys end is a long way distant. The plains of the Alentejo where carpeted with beautiful white and yellow flowers as far as the eye could see, with occasional dots of red, and the little farms came into view, then receded behind me. 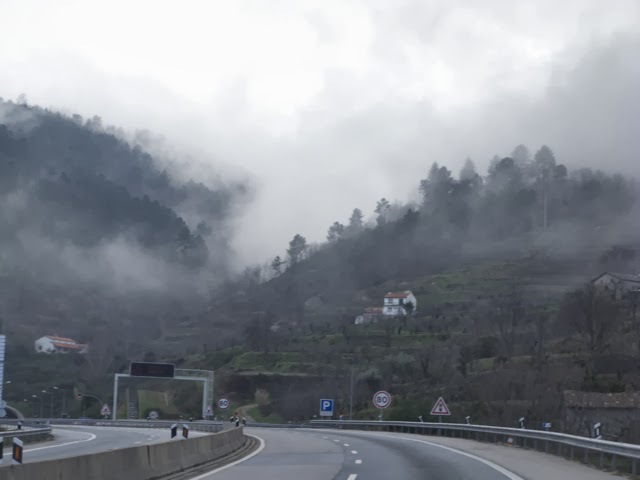 Eventually, reaching the mountainous region to the north east of Lisbon, the landscape changed and I was driving through valleys and over viaducts. 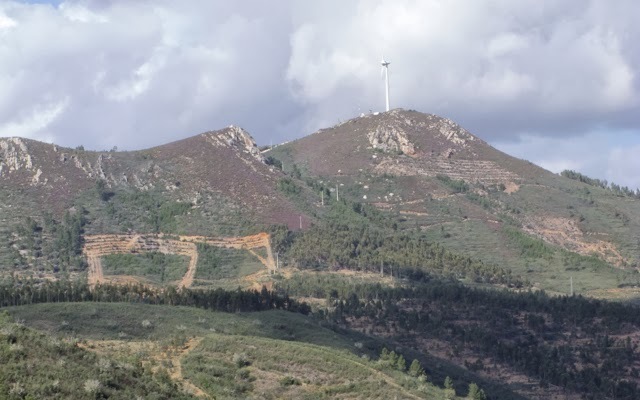 Portugal has a vast amount of wind and solar energy being tapped, and sights like this turbine on a hilltop are not uncommon - its the sort of place I would drive up to given time and different circumstances..
A few hours later I had arrived in Sabugal and it was time to be reunited with the Hiace with its new look. I was delighted with how it had turned out, and I'll be sharing some photos soon. We got the paperwork out of the way and it was agreed that I'd camp outside their house for the night, then I could set off in the morning after returning the hire car to Guarda town. The following morning his wife drove over in her car to Guarda to give me a lift back to the van in Sabugal after I dropped off the hire car. This was very kind of her as it was an hours round trip and they insisted that I shouldn't get a taxi, but accept their hospitality. 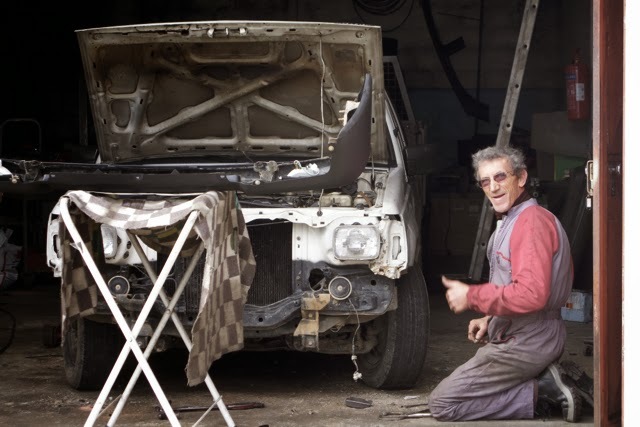 Thanks also to Nuno, the mechanic's son for translating everything for me as the older generation don't usually speak English in that part of Portugal. Then it was time to hit the road again after such a long time. It had been a peaceful night back in the old familiar shell of the camper though it was below freezing outside - I had to use the winter sleeping bag and keep my socks on too. Jose gives me the thumbs up as I drive off in the Hiace to begin the trip south. It was a pretty overcast day in the north and I passed through scenery like this as I climbed through the mountains again. Just ahead from where the shot below was taken, you pass through a couple of tunnels in the hillside. I exited into a cloud and its good that the headlights were on from the tunnel drive. So my plan was to bomb on down the motorway for three hours or so, so I could hit the coast in the Alentejo region, just south of Lisbon where the weather would be milder. From there I could spend a few days exploring the west coast on the way down. 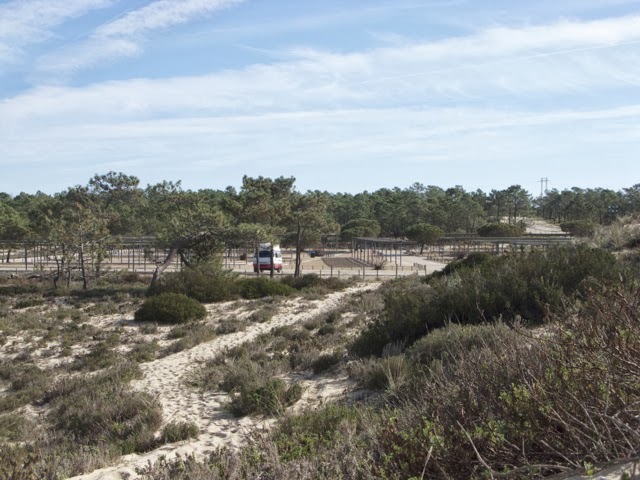 I had been spot on about the weather, and soon I was bouncing along a country road on the way to Comporta. The roadside was lined with trees that were all growing from a desert of sand that stretched for miles inland by the Estuario do Sado. I soon arrived here..
My chosen spot for the night, and it was a good one! GPS: 38.382573, -8.801990 This was taken from the dunes just beyond were I was parked. A short stroll through the warm evening air led me to this beach.. 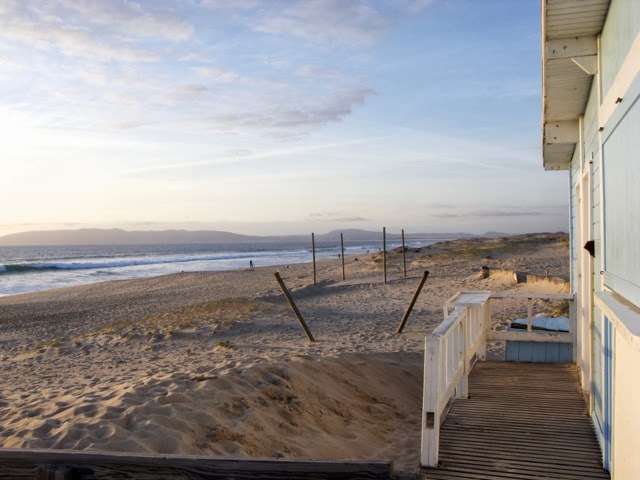 It stretches for an unbelievable distance along the coast. The swell here coming up the beach was powerful and occasionally it could take you unawares, one of those awe inspiring encounters with nature. 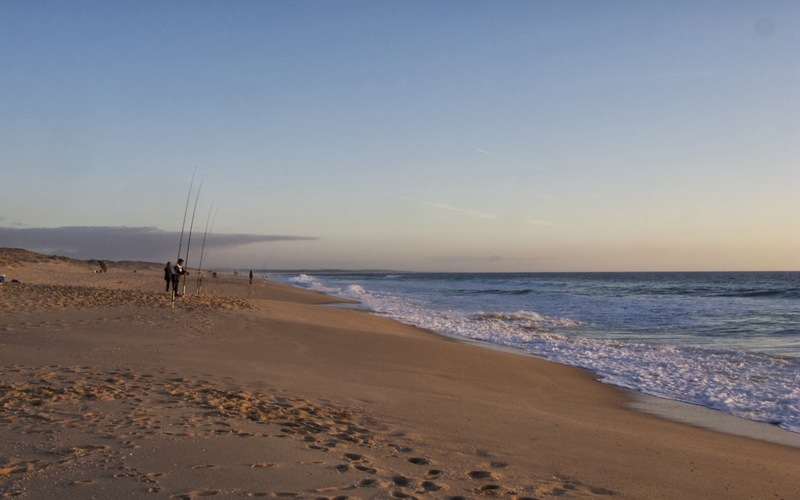 The beach was being inhabited by quite a number of beach fishermen, and as dusk began to fall little green neon lights could be seen glowing along the shoreline. These turned out to be the tips of their long beach casting rods - these guys were here for the night. I remembered it was actually Saturday night, that explained it. I sat on the dunes and felt the rhythm of the ocean as small fires were lit along the beach and wood smoke drifted through the air..
Next morning after a mild and peaceful night with the sound of those powerful waves just beyond the dunes, I looked at the map and decided to take a thirty minute drive to the next coastal spot that seemed worth checking out. This place was also along a sand dune forest road and there were many tempting side routes along tracks that could have been explored, but I wanted to see what was at the end where it reached the coast. I ended up in a secluded car park overlooking a spectacular beach. I'd only been driving thirty minutes so was keen to explore more, but then I spotted a couple in the car park level below, attempting to tie a huge piece of drift wood onto the roof of their little Renault Clio. It turned out that Beatrice & Michael were a Swiss & German couple who had moved into the area a few years ago for its beauty and remoteness. They lived somewhere off down one of the side tracks I had passed on the way, and the deadwood was to be used as a piece of art for their home..